The Department of Education has launched a new website to help people with student loans find a repayment option that best suits their needs. The Government Accountability Office found last year that many eligible borrowers don't participate in the income-based repayment programs, in part, because the department doesn't consistently notify them of their options. 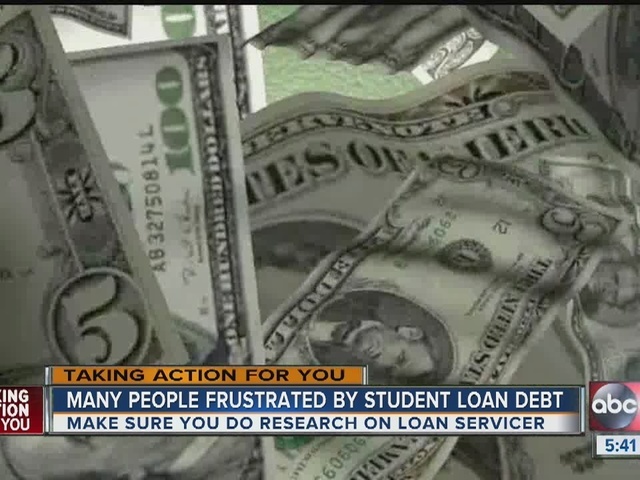 The new site is one of many options for people to navigate through student loan debt. But some may wonder if they're getting ripped off. "Its not that I didn't want to pay them, but I didn't have the money," said Lenore Hill, who is disabled and can longer work. She was swimming in more than 70-thousand dollars in student loan debt from when she helped her son through college. "78-thousand might as well be 78 million. I couldn't afford that," she said. The loan provider wanted her to pay 700-dollars a month and kept harassing her for payments. Then came the mailers advertising sweet deals, promising lower payments and consolidation. "I was scared. I really was and I didn't know what to do," she said. Tampa student loan attorney Christie Arkovichs' best advice on all the mailers: do your research. She said usually the letters you get may appear to be from your loan servicer but are a totally seperate business. "I've had clients who think that they're dealing with their student loan company and it's just a third party solicitation," she said. If you're not sure, you can find out by logging ong to the Federal Student Loan Database, look up your servicer and call them directly. And for people who are seeking relief, Arkovich says make sure you understand the difference between loan consolidation and rehabilitation -- they're very different. For instance, rehabbing a loan will erase that default note on your credit put where a consolidation will not. But then again, consolidation is much easier and can be done online. "I think rehabilitation is often better. And it's either one or the other to get out of default," she said. Arkovich estimates she can help nine out of ten people who step foot into her office and are drowning in student loan debt by finding a program or negotiating a reasonable payment. 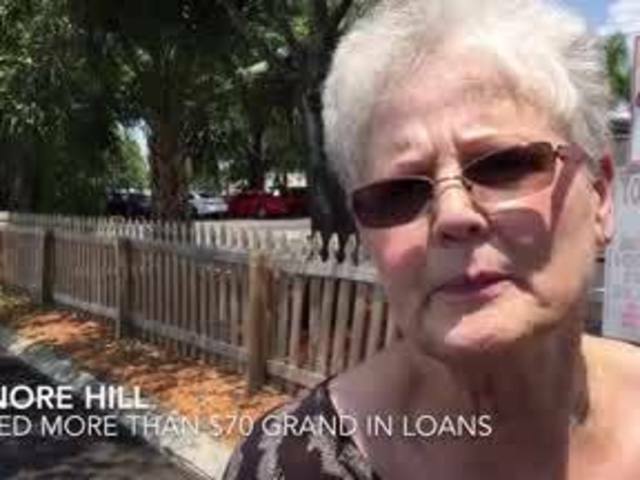 Last month, she helped Hill get rid of her student loan debt in one fell swoop. "It felt like a ton of bricks was lifted off my shoulder, I just didn't think it was possible," Hill said.